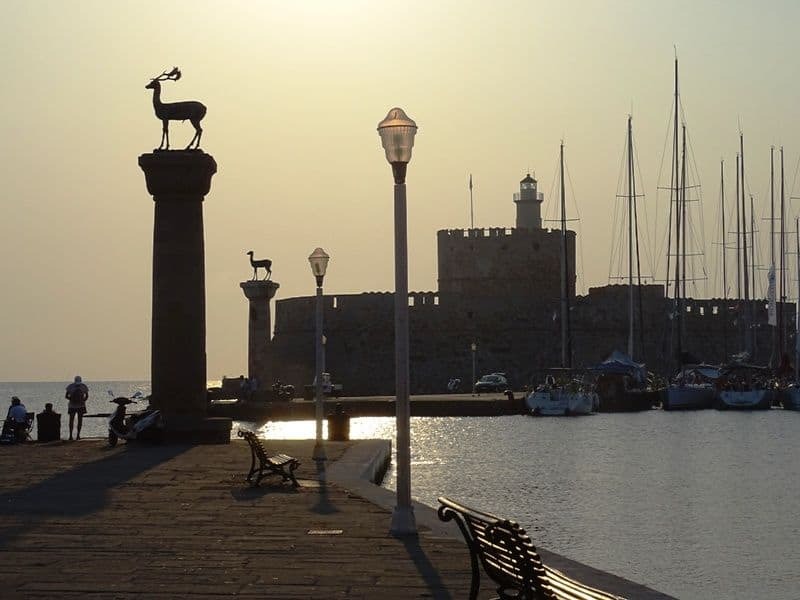 Greece is filled with amazing places for you explore, like Rhodes. 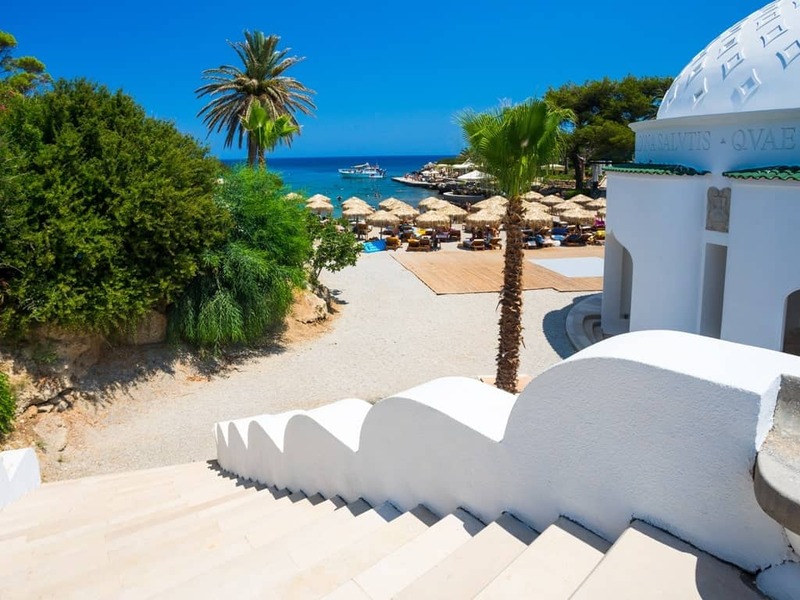 As one of Greece’s largest islands, Rhodes is known worldwide for its exquisite beaches, ancient archeological sites, and breathtaking natural wonders. 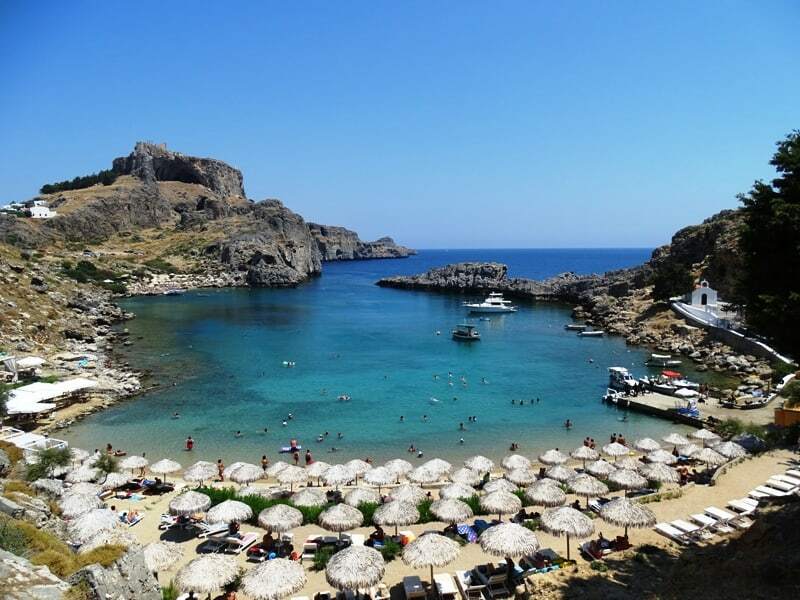 If you’re planning to take a trip to Rhodes, you’ll find some of the best things you can while here below. Rhodes Town is separated into two parts: Old Town and New Town. True to their names, each section has its own unique atmosphere. In Old Town, you’ll find historic structures and other ancient sites to enjoy. In New Town, you’ll find a trendy area filled with modern shops and cafes. No matter which area in Rhodes Town you visit though, you’ll also be able to get incredible views out to sea. 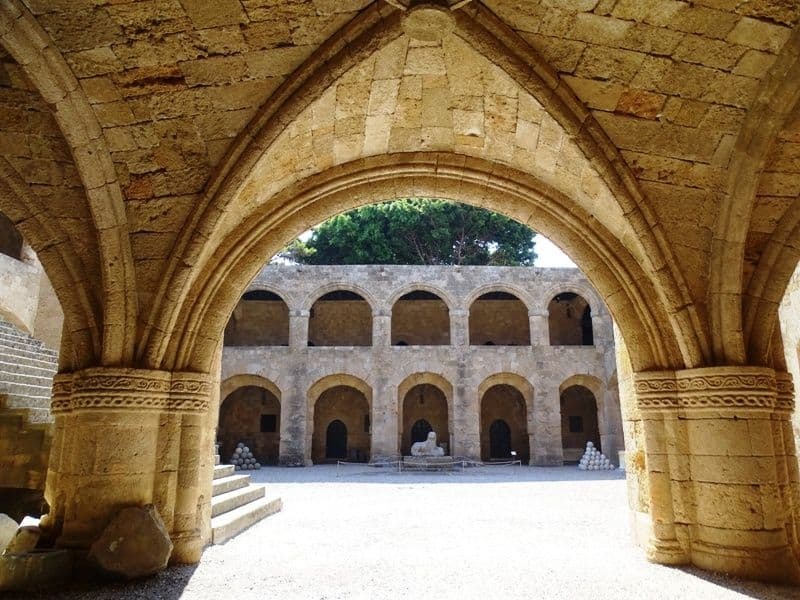 Also known as Kastello, this palace is one of the only structures on the island that features Gothic architecture. It was once home to hundreds of knights who worked to protect the city from various types of intruders. Today, it serves as a museum where you can view the archeological treasures found in it as well as its amazing architecture. This museum is housed in what was once the Hospital of the Knights. It was built in 1440 and has numerous exhibits that show everything from ancient mosaics to marble statues. The Fort of St. Nicholas is situated near Mandraki Harbor and served as a way to help protect the coast from invasions. It features an impressive tower on its side that once served as a lighthouse to help guide ships out at sea. This harbor has been in existence since 400 B.C. 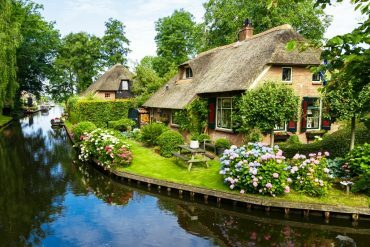 and is surrounded by various historic structures, like the Fort of St. Nicolas and even windmills. The harbor is also known for its massive deer statues that welcome guests to the area and large ships that dot its coastline. The Acropolis of Rhodes sits high on Monte Smith and was a popular spot in ancient Greece for sporting events. Besides its impressive ruins, the Acropolis also gives panoramic views out to sea making it the perfect place to snap some photos or to just gaze out at the incredible scenery. Click here for more things to do in Rhodes Town. Rhodes is one of the best places in the world for beachgoers. Each beach on the island is unique from the other in both its landscape and sea views. 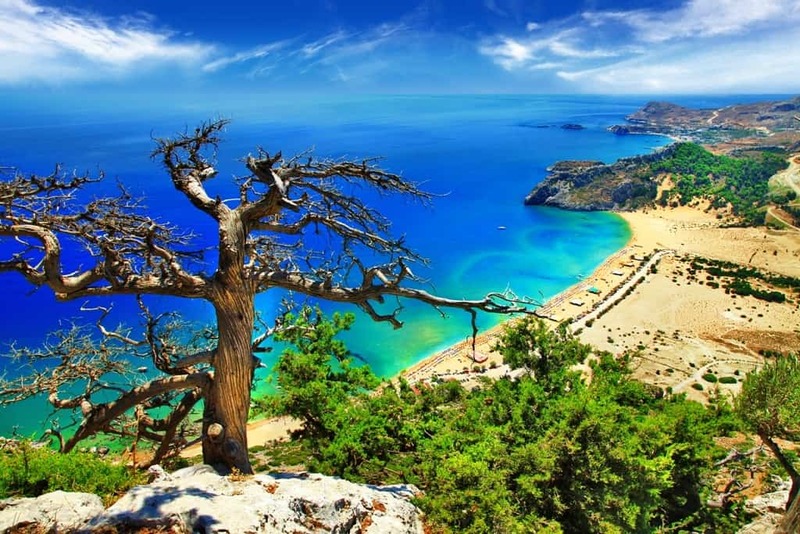 Named after the iconic actor, Anthony Quinn Beach is a serene getaway in Rhodes known for its pine trees and green-tinted water. The beach is also lined with massive boulders which are a popular place to sunbathe. It is believed that this bay is the spot where St. Paul landed in 51 A.D. when he came to preach to the island. The bay features two beaches you can explore as well as an ancient village you can wander through. You can climb up to the top of this village to get a stunning panoramic view over the bay. Tsambika Beach is known for its extremely soft sand and clear blue water. This peaceful area also offers you the chance to try water sports or enjoy a cold treat with one of the many small food stands located nearby. 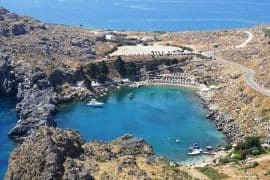 This beach is a unique spot in Rhodes for many reasons. The first is that it turns into an islet during low tide which ends up connecting the beach to the southern part of the island. You’ll also find this beach offers incredible views out to sea and is a little windy making it the perfect area for surfers to enjoy. This village is a popular stop for tourists due to its amazing sea views and ancient sites. 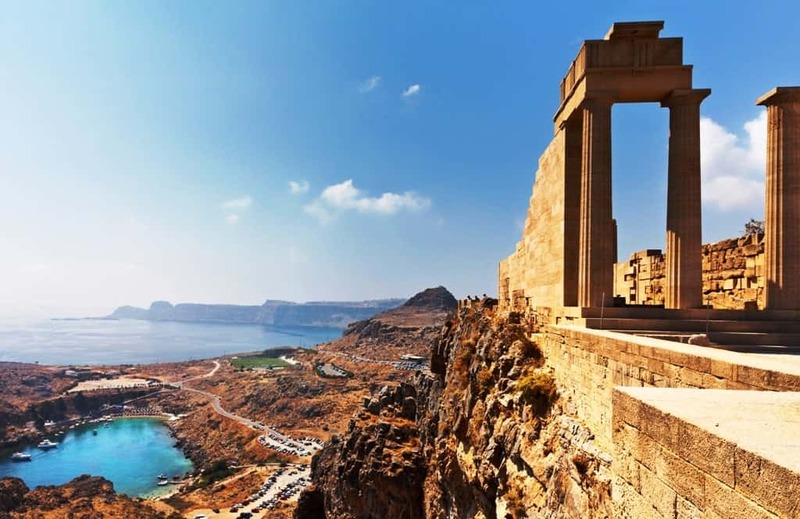 You can walk around its winding streets where you can stop by its most famous attraction: the clifftop acropolis. This structure sits high on a hill and features the ruins of 4th-century gates. 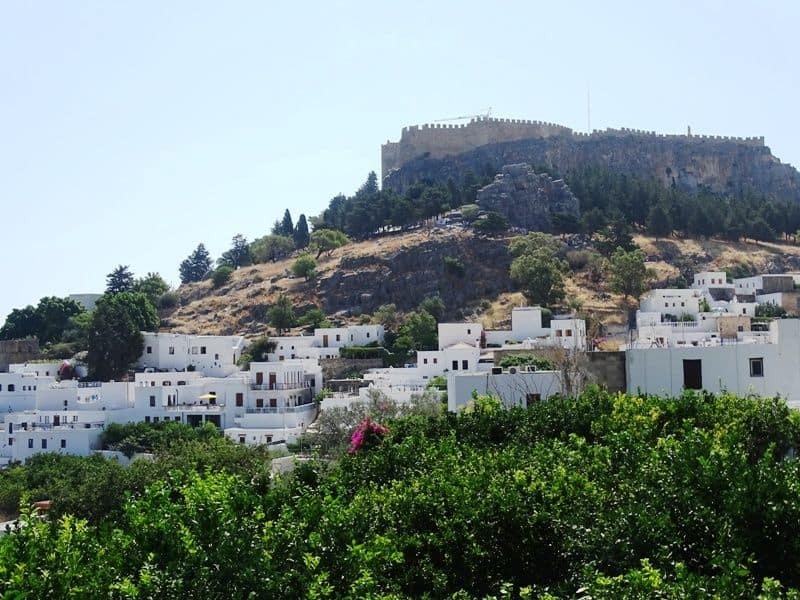 You’ll also find plenty of other ancient buildings you can explore in the village, like the Castle of the Knights of St. John and the Virgin Mary of Lindos Church which is known for its stunning frescos. 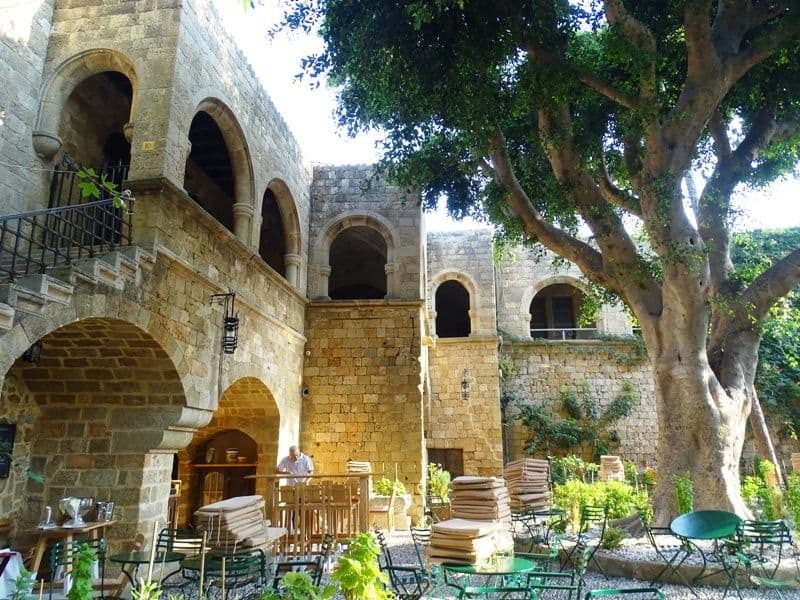 There’s also the Tsambika Byzantine Museum which houses various types of Byzantine art seen nowhere else in the world. If you don’t mind walking a bit, you can take a quick hike up a cliff to see Kleoboulos’ Tomb. This massive structure looks out to sea and is the resting place of Kleoboulos, one of the seven main philosophers of ancient Greece. The Valley of the Butterflies is a nature-lovers dream. This 600-acre nature reserve is filled with many different types of flowers and thousands of butterflies. You’ll find plenty of trails you can take that will lead you through the park so you can get up close and personal with the various types of butterflies living in the reserve. Many enjoy resting on the historic sweetgum trees where they also lay their eggs. When you’re done touring the park, you can stop by its Museum of Natural History where you can view the park’s butterfly hatchery and learn more about the life of these beautiful insects. 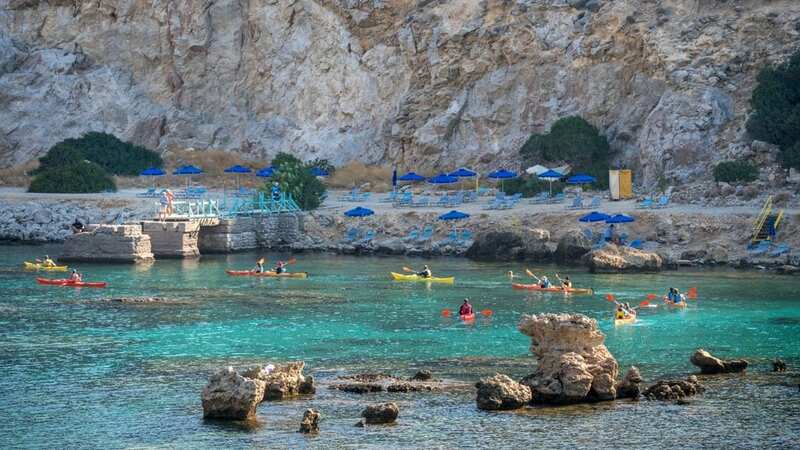 The sea surrounding Rhodes is known for its warm temperatures and incredible views making sea kayaking the perfect activity to do while here. You can sign up for one of the many guided tours on the island that will take you around its coastline to show you isolated beaches, nature reserves, rare plants, and other unique places and things that many tourists aren’t able to see. 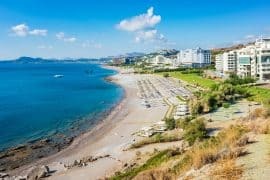 Some tours will even plan a picnic and take you to a private beach where you can enjoy homemade and traditional Greek dishes. Stand-up paddleboarding is also a popular thing to try when here. You’ll find many small tours you can partake in that will not only teach you the basics of this sport, but take you to secret places around the island. Many tours will also take you to the best swimming spots and areas to view ocean life to give you an incredible adventure. You might even be able to do a quick snorkeling tour after taking your paddleboard out to sea. You’ll find quite a few different paddleboarding tours you can try so there’s something for everyone to enjoy. 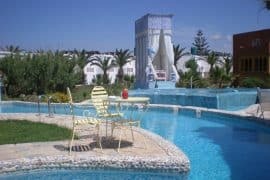 Rhodes is home to WaterPark which is a great family-friendly attraction to try out. You’ll find many different types of water rides that cater to everyone’s needs and adventure levels, as well as a lazy river you can float down. When you’re done having fun, you can stop by one of the park’s many small restaurants or bars to grab a bite to eat or a drink. Keep in mind you do need to buy tickets to enter although you can sometimes buy them in advance so you don’t need to wait in line. This 15th-century castle ruin sits high on a rugged cliff and looks down over the sea providing guests to it an amazing panoramic view. Besides its picturesque location, the castle also has an interesting history. Considered to be one of the most powerful forts back in its day, Monolithos Castle housed royalty and other prominent people on the island. While today it is nothing more than a small ruin, it once was a dazzling structure filled with frescos and chapels. You can climb around the castle ruins to get different perspectives of it. 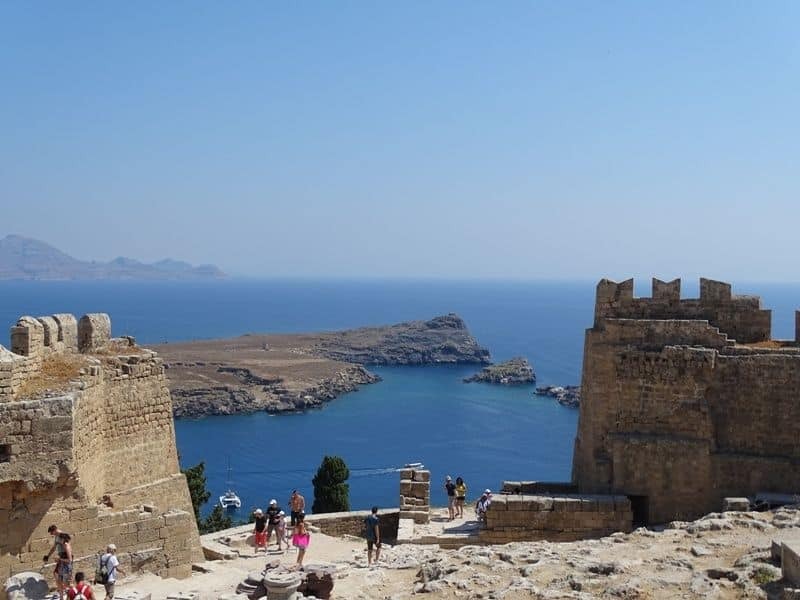 While doing so, you might even catch a glimpse of its foundation, which was also once a castle before Monolithos Castle was built on top of it. This quaint part of Rhodes is a complete paradise thanks to its colorful beaches and amazing array of natural wonders. 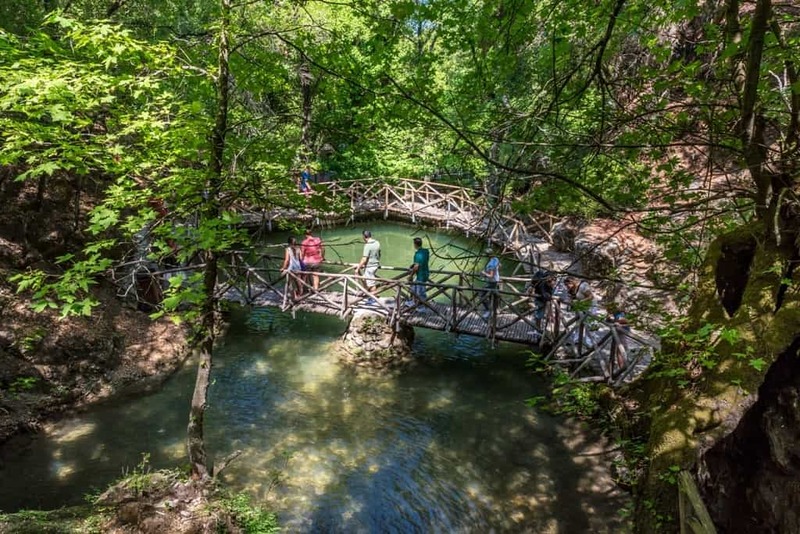 One of the most popular spots to see in Kallithea is its thermal springs. The steamy waters of the springs are not only relaxing, but are known for their healing powers. 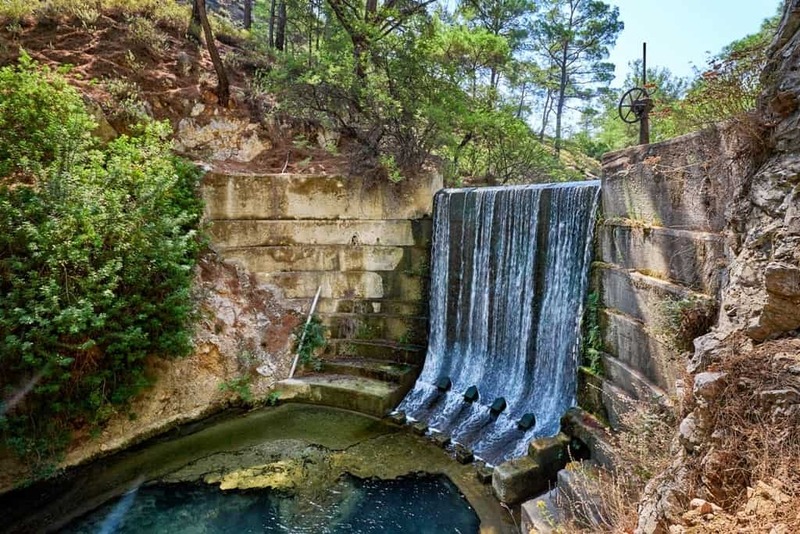 The springs are surrounded by exquisite coves and towering pine trees making it a relaxing spot to enjoy. After exploring the thermal springs, you can head down to one of Kallithea’s many beaches which are known for their warm water making them a great place to take a quick swim. 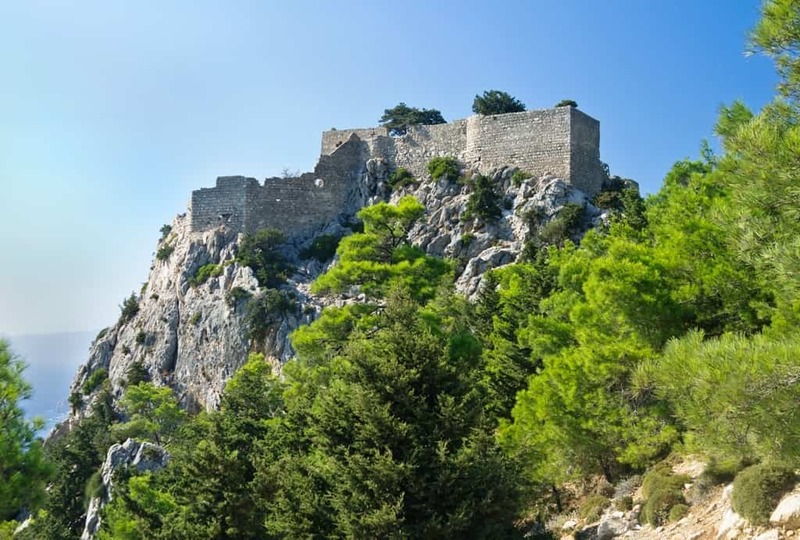 Another great thing to do while in Rhodes is to climb up to its highest point – Profitis Ilias. This small village is surrounded by rocky cliffs and a roaring sea making it a place like no other on the island. 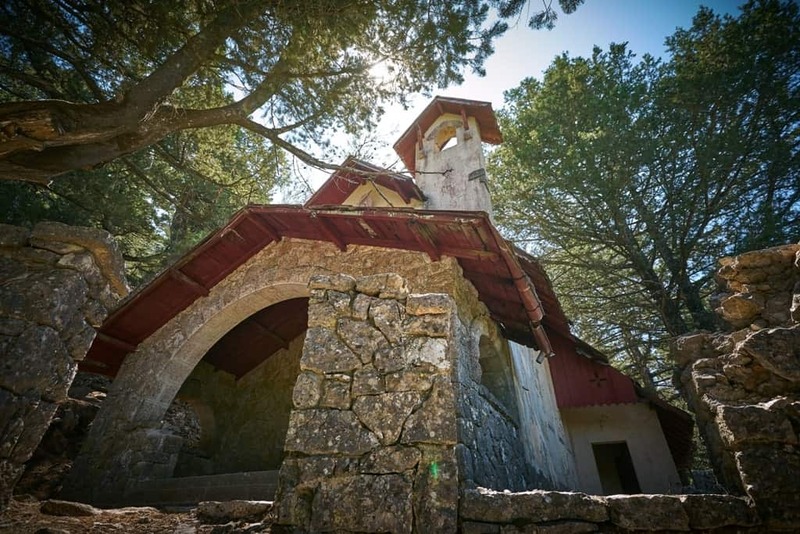 You can trek up to it while enjoying its natural landscape which is filled with pine trees, cedars, and cypresses. You might even see some deer trotting by on your way up. The village is filled with winding pathways that will take you around the area and by historic structures, like a seaside Byzantine church known for its frescos. Seven Springs is the perfect place for both adventurers and nature lovers to venture to. This nature retreat features fresh water flowing out of the numerous springs that are shaded by ancient trees. You can take a quick swim in the seven different springs or meander around the forest paths nearby to view a rushing waterfall. You might even catch a glimpse of a majestic peacock strolling by. When you’re done exploring Seven Springs, you can stop by its small café which serves a variety of different food options you can enjoy while sitting under its treetop-covered terrace. 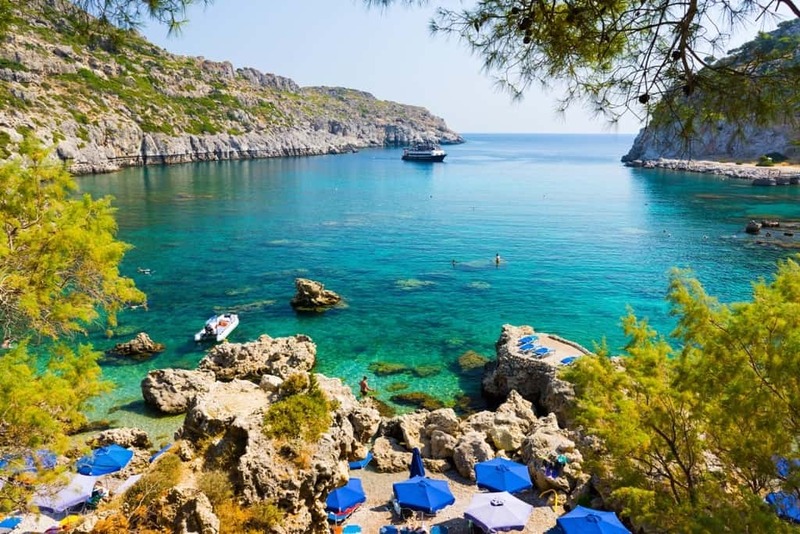 When in Rhodes, you can take a quick day trip over to Symi Island. This island is filled with historic structures, like the Monastery of Archangel Michael Panormitis, a former 18th-century church. Symi is also popular for its colorful and sophisticated houses that surround its coastline. In addition to this, the island also hosts music festivals throughout the year and is home to many private beaches you can relax at. You’ll also find a variety of small museums scattered around the island which are dedicated to everything from folk art to archeology. Symi is also known for its rustic fish taverns which serve traditional Greek seafood dishes you can enjoy. To get to Symi, you can hop on a ferry which goes back and forth between the two islands a few times per day. 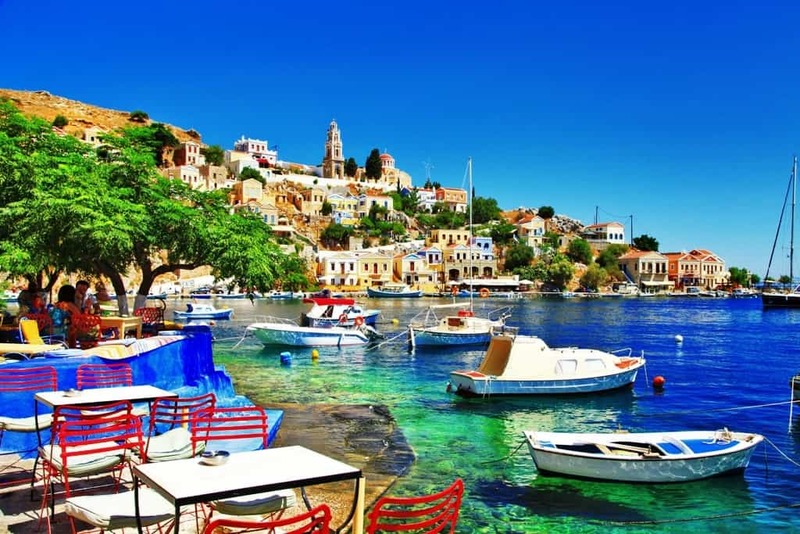 Click here for more information and to book a day trip to Symi island. Another great day trip to take while in Rhodes is to Marmaris. While located in Turkey, this Turkish Riviera city is just a quick trip over from the island. The city is known for its incredible nightlife as well as natural wonders and ecotourism that will allow you to do everything from hiking through fragrant pine forests to scuba diving in the warm sea. Marmaris also is home to many impressive structures you can explore, like Marmaris Castle which was built back in the 1500s. Another popular cultural activity to try out while here are the refreshing Turkish baths which will have you sit in decorative bathing halls while a relaxing steam warms your body. 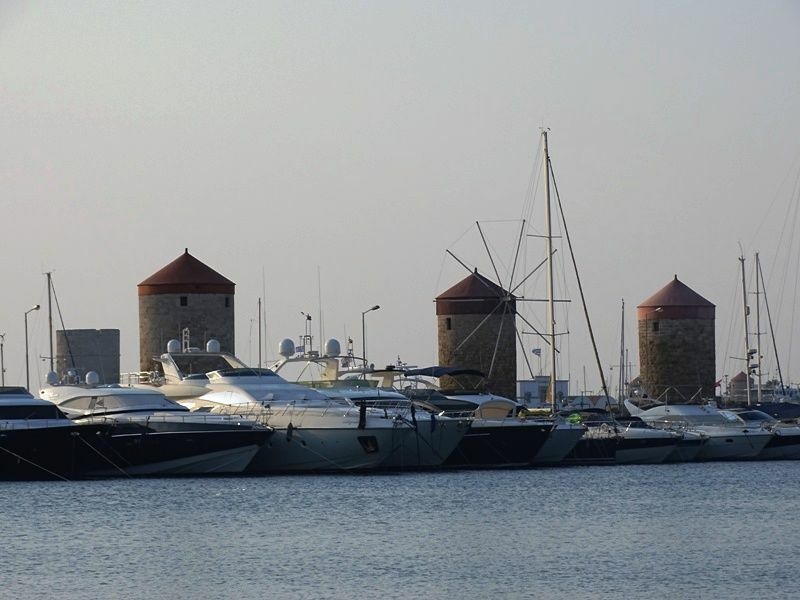 You can easily get to Marmaris from Rhodes by ferry or a private boat. 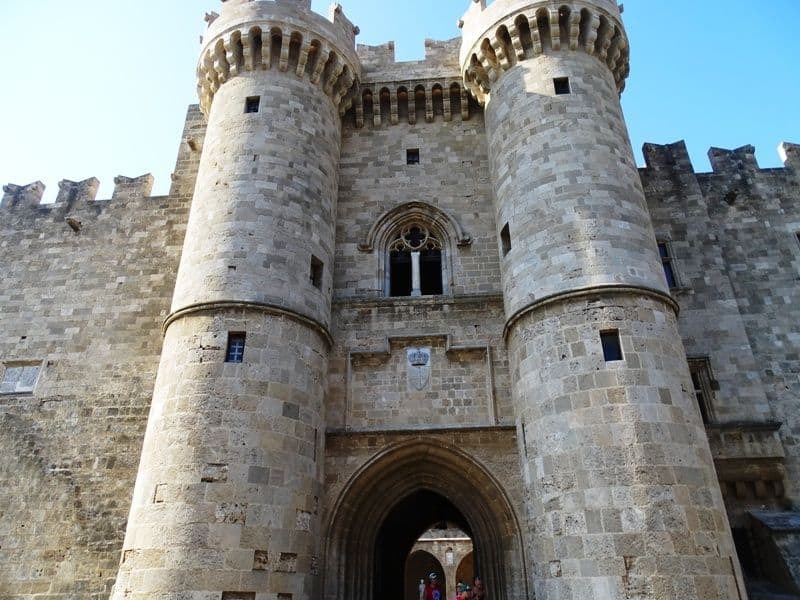 Rhodes is the perfect place for any traveler to visit because it caters to a variety of needs. 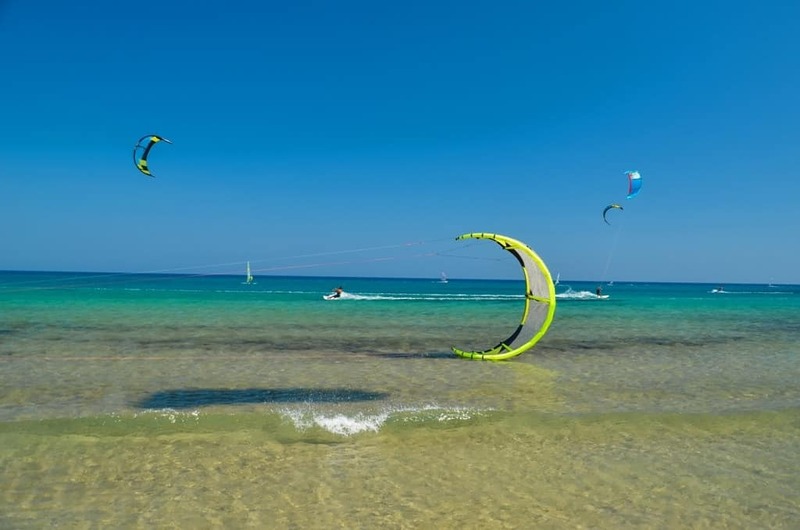 It doesn’t matter whether you enjoy history or outdoor excursions, Rhodes offers a little bit of everything for everyone. If you’re considering visiting this island, definitely keep the activities listed above in mind. 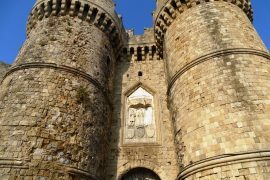 They will help you to experience Rhodes in a way many guests to the island aren’t able to so you can immerse yourself into its culture and history in a special way.